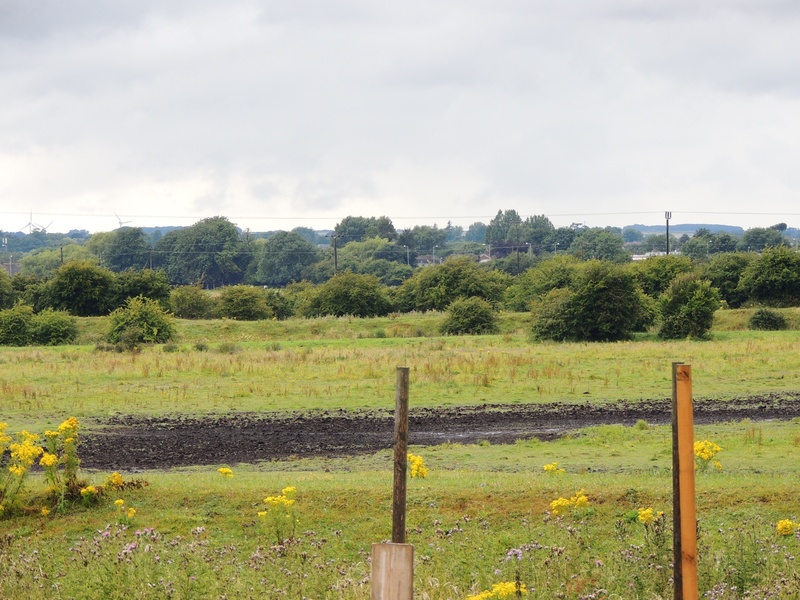 27/6/15 Saturday afternoon I went to High Eske NR. Haven’t been much in recent weeks partly due to works pressure but also been put off due to recent trespass by kayakers. To be honest weekends, particularly in summer, are never the best time so I was taking a risk. 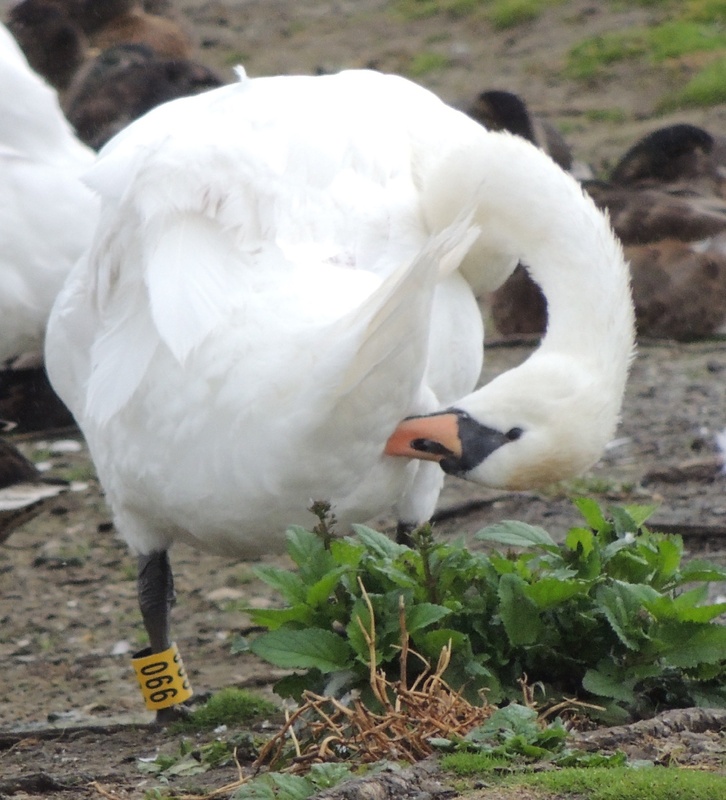 But today it was very quiet and with little evidence of the supposed anglers who just come to party and leave all their rubbish. Birds weren’t too exciting either with no sign of any wildfowl young although there was a pair of Great Crested Grebes sitting at the north end. The summer islands were showing although a bit early for waders there were two adult Oystercatchers, likely the resident pair, but no young. Also a Little Ringed Plover there and Redshank on the permanent island. 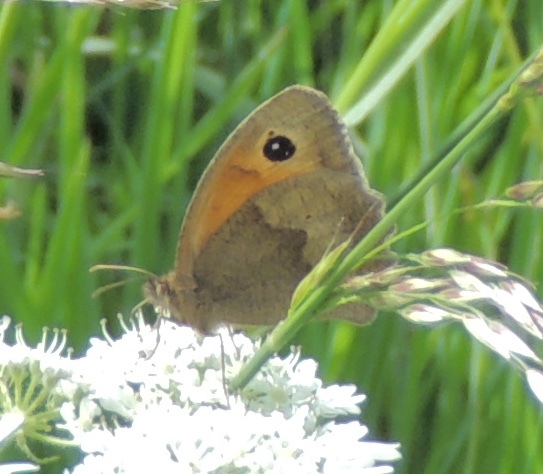 Insects however were in good numbers with large numbers of Meadow Browns. 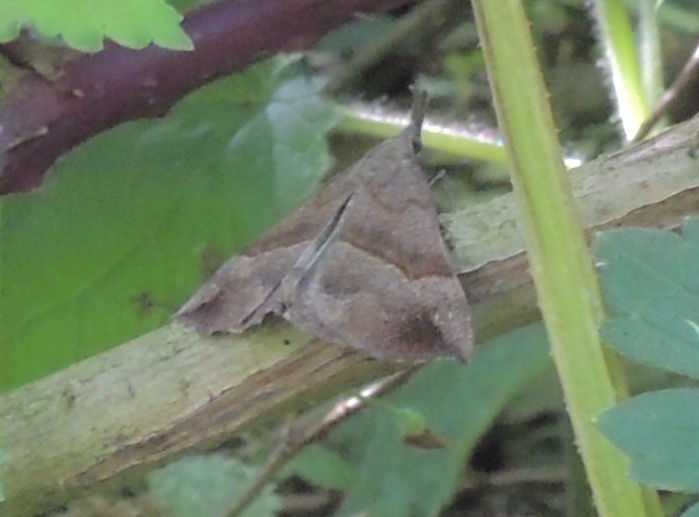 Moths were also well represented. Having acquire a new supply of collecting jars I now carry a few to “pot” any I can’t immediately identify and defy my attempts at photography. 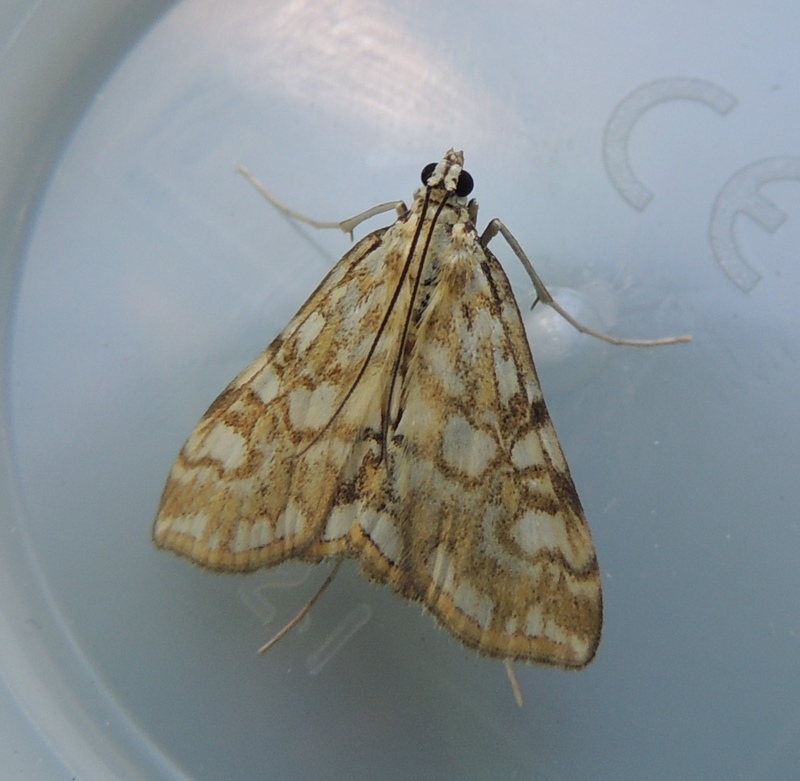 By this method I identified a Brown China-mark and later back at home a Small China-mark, the latter a new one for me. 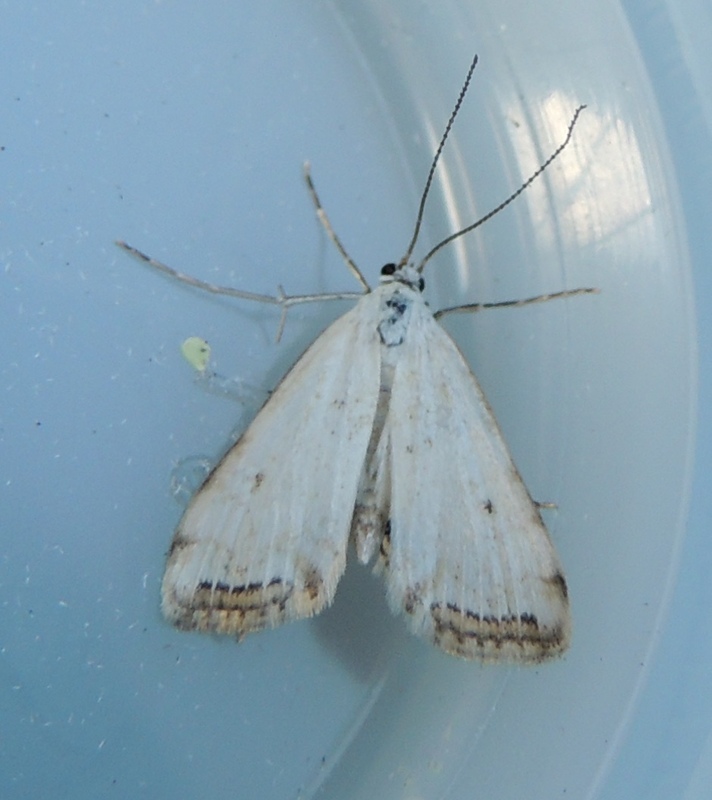 Others moths identified in the field included Snout and Silver Y. Walked to Leven Canal but didn’t have the time for a proper look for dragonflies only adding Brown Hawker to the various damselflies at High Eske. Back at the reserve three kayakers were on the water. As I was nearly finished I didn’t let it bother me but the signs warning of the dangers of blue-green algae give me the hope of some schadenfreude. 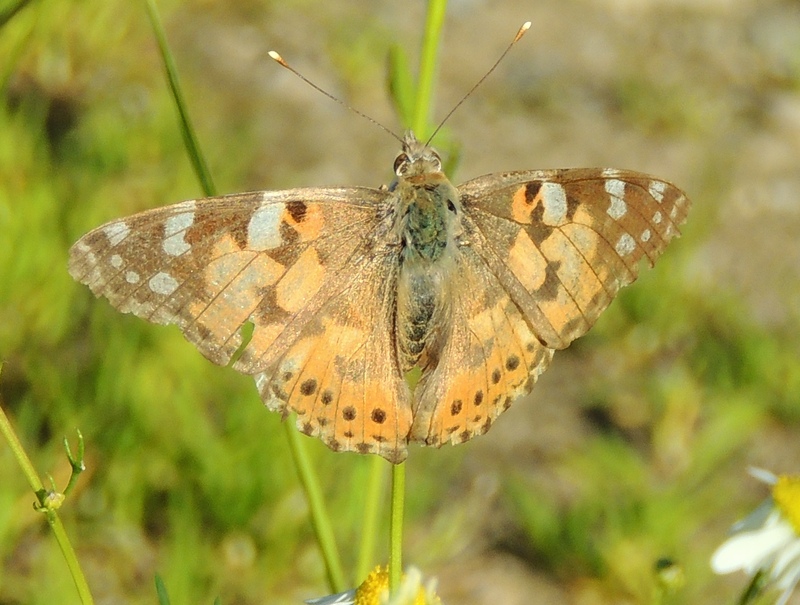 Walking back towards High Eske farm had my first Painted Lady. The same place and similar time to last year. Spent a long while waiting for Hobby but gave up and headed back to the car park. 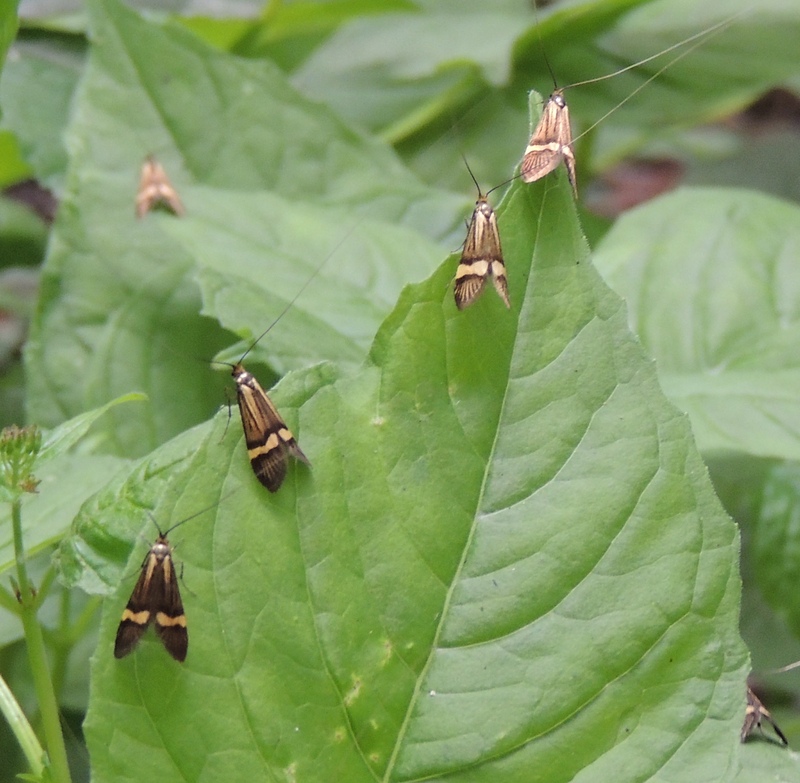 On the way came across a large group of longhorn moths species, Nemophora degeerella. More than my previous life total! As I was taking pictures I got a text from MR that a Hobby had finally put in an appearance. Continued but then the battery failed so followed JH back to the hide where after a few minutes a Hobby flashed by. 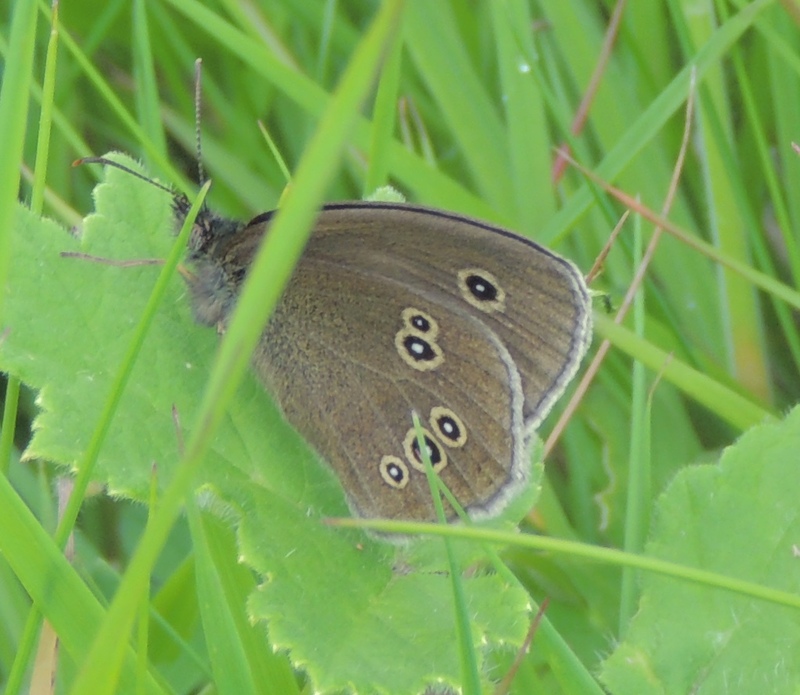 Had my first Ringlet back at Wassand Hall where in the less windy conditions the Spotted Flycatchers were showing. 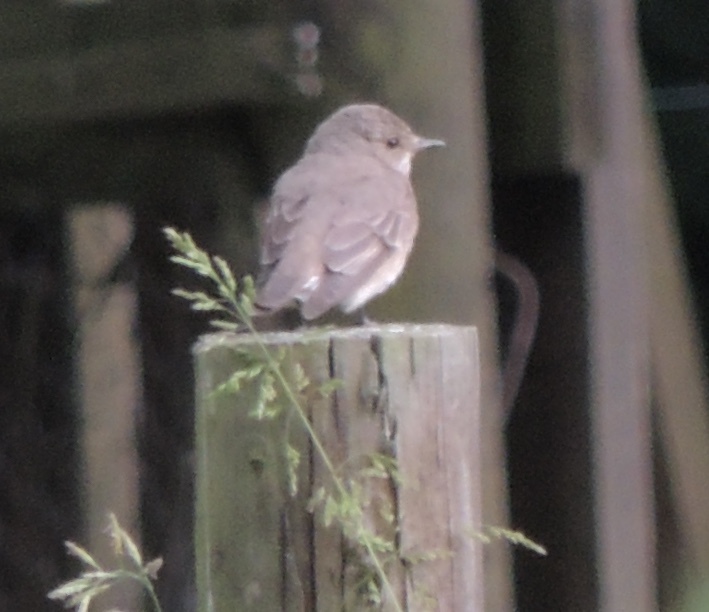 Went to Tophill Low NR this afternoon. 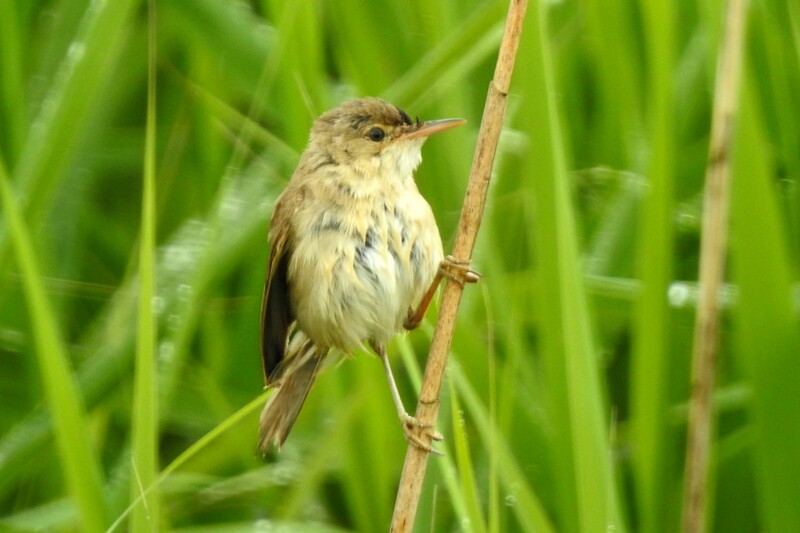 Hadn’t been for a while so took the opportunity to check the success of breeding birds on the south marshes since my last visit [see here] . 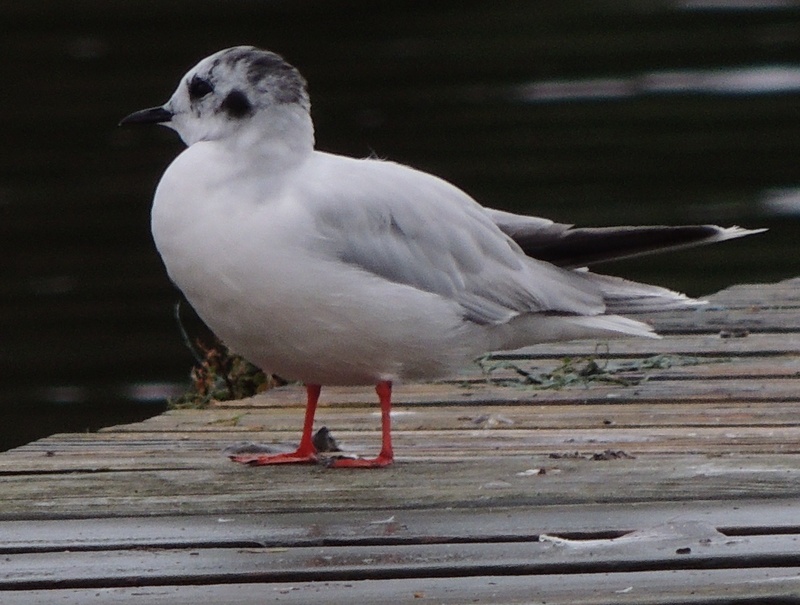 Not surprisingly Black-headed Gulls were doing well. 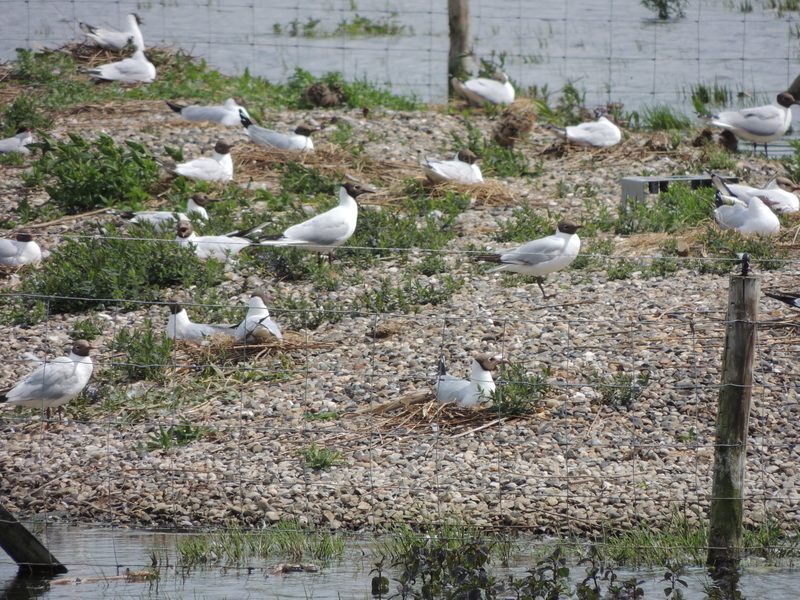 Breeding Black-headed Gulls-South Marsh East,Tophill Low NR. 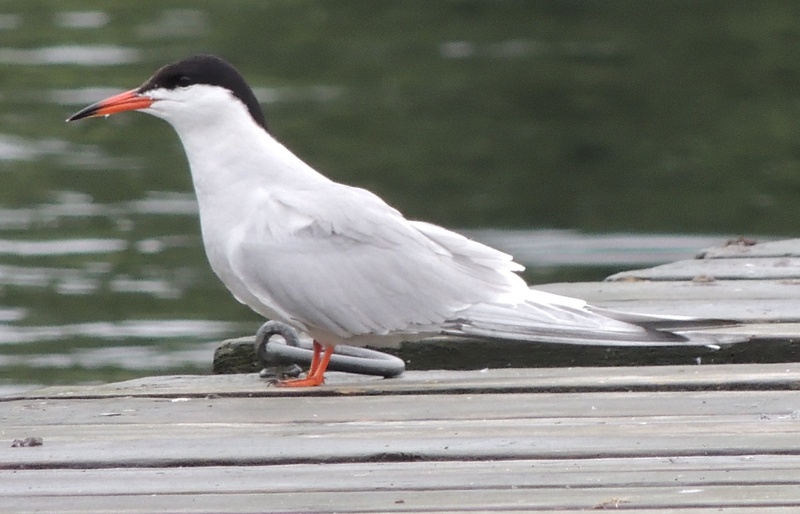 Even better the Common Terns had several chicks, some well on. 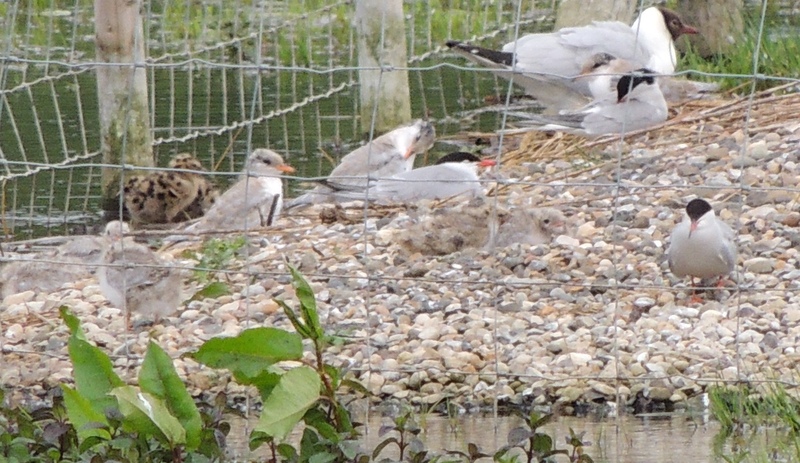 The Lesser Black-backed Gulls also had a chick. 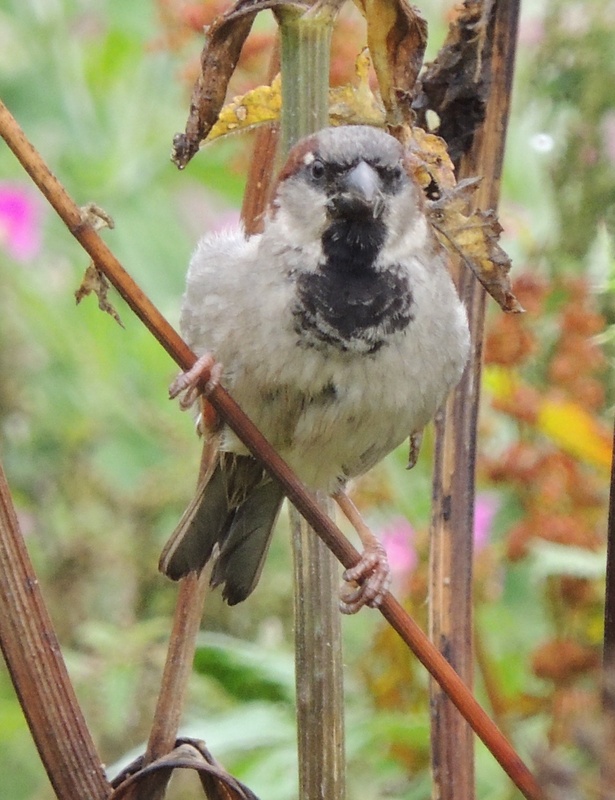 Felt a bit sorry for them as every-time they return to the nest they have to suffer attack by Black-headed Gulls and Common Terns. No doubt they would take any unattended chick though. Had three Little Ringed Plover on South Marsh East and one on Watton but along with the Oystercatcher pair on South Marsh East could see no young. Failed to see a Bee Orchid.